Angelic Reiki is a wonderful, extremely powerful healing modality. As well as connecting and working alongside the energy of the Angelic Realms, you can also call in the energy of Ascended Masters and Galactic Beings. This healing draws from the Usui and Shamballa lineages and combines these with amazing transmissions originally channelled by Kevin Core. 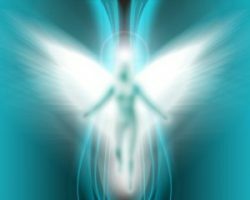 During an Angelic Reiki healing session, the practitioner is simply “holding the space” for the angelic healing to be passed through them and onto the receiver. The client will feel the energy in the perfect way for them; most people feel it as a soothing, loving energy which helps to release blocks and enables them to move forward feeling lighter and more peaceful. It is also a profound means of personal development, transformation and preparation for our Ascension journey - it truly is the healing for our time! Practitioner (level one & two) and Master Teacher (level three & four) courses are also available. It is preferable to attend these in person.